Over the past several years, the development of very small video cameras and specialized instruments have allowed surgeons to do more than simply take a look into the joint. So now it is a surgical procedure we as Arthroscopic surgeons use to visualize, diagnose, and treat problems inside a joint. In an arthroscopic surgery, Contact Dr. Swapnil Gadge for More detail. Radial Head Fractures The elbow is a junction between the forearm and upper arm. The elbow joint is made up of 3 bones, namely the humerus bone in the upper arm, which joins with the radius and ulna bones in the forearm. The elbow joint is essential for the movement of your arms for daily activities. The head of the radius bone is cup-shaped and corresponds to the spherical surface of the humerus. The injury in the head of the radius causes impairment in the function of the elbow. Radial head fractures are very common and occur in almost 20% of acute elbow injuries. Elbow dislocations are generally associated with radial head fractures. Radial head fractures are more common in women than in men and occur more frequently in the age group of 30 and 40 years. The most common cause of radial head fractures is breaking a fall with an outstretched arm. Radial head fractures can also occur due to a direct impact on the elbow, a twisting injury, sprain, dislocation or strain. The symptoms of a radial head fracture include severe pain, swelling in the elbow, difficulty in moving the arm, visible deformity indicating dislocation, bruising and stiffness. Your doctor may recommend an X-ray to confirm the fracture and assess displacement of the bone. 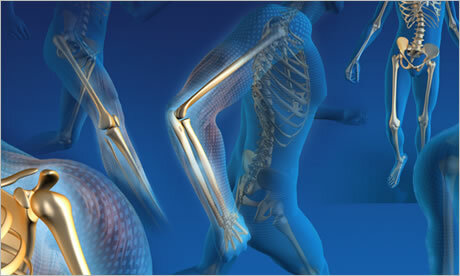 Sometimes, your doctor may suggest a CT scan to obtain further details of the fracture, especially the joint surfaces. The treatment of a fracture depends on the type of fracture. Type 1 fractures are usually very small. The bone appears cracked, but remains fitted together. The doctor might use a splint (casting) to fix the bone. You may have to wear a sling for a few days. If the crack becomes intense or the fracture gets deep, then your doctor may suggest surgical treatment. Type 2 fractures are characterised by displacement of bones and breaking of bones into large pieces and can be treated by surgery. During surgery, your doctor will correct the soft-tissue injuries and insert screws and plates to hold the displaced bone firmly together. Small pieces of bone may be removed if it prevents normal movement of the elbow. Type 3 fractures are characterised by multiple broken pieces of bone. Surgery is considered the compulsory treatment to either fix or remove the broken pieces of bone, sometimes including the radial head. An artificial radial head may be placed to improve the function of the elbow. Clavicle Fracture The clavicle is a bone that connects your sternum or breastbone to your shoulder. Clavicle fracture, also called broken collarbone, is a very common sports injury seen in people who are involved in contact sports such as football and martial arts, as well as impact sports such as motor racing. Causes: A broken collarbone normally occurs after a fall onto the shoulder or a motor vehicle accident. The most common sports associated with clavicle fractures include football, hockey and skiing. Symptoms: A broken collarbone most often causes pain, swelling and bruising over the collarbone. Pain increases with shoulder movement. Your shoulder may be slumped downward and forward. You may also have a bump around the area of the break. You may hear a grinding sound when you try to raise your arm. Diagnosis: To diagnose a broken collarbone, your doctor will take a brief history, about the injury, and perform a physical examination of your shoulder. An X-ray of the clavicle is taken to identify the location of the fracture. Your doctor may also recommend a computerised tomography (CT) scan in some cases. Surgery: Surgery may be required in cases of displaced fractures. Surgery is performed to re-align the fractured ends and stabilise them during healing. Surgery often involves the use of pins or plates, and screws to maintain proper positioning of the bone during healing. Plates and screws fixation: During this surgical procedure, your surgeon will reposition the broken bone ends into normal position and then uses special screws or metal plates to hold the bone fragments in place. These plates and screws are usually left in the bone. If they cause any irritation, they can be removed after fracture healing is complete. Pins: Placement of pins may also be considered to hold the fracture in position. The incision required is also smaller. They often cause irritation in the skin at the site of insertion and have to be removed once the fracture heals. Shoulder Separation (AC Dislocation) Acromioclavicular joint (AC joint) dislocation or shoulder separation is one of the most common injuries of the upper arm. It involves the separation of the AC joint and injury to the ligaments that support the joint. The AC joint forms where the clavicle (collarbone) meets the shoulder blade (acromion). Causes: It commonly occurs in young athletes and can result from a fall on the shoulder. A mild shoulder separation can occur when there is an AC ligament sprain that does not displace the collarbone. In more serious injuries, the AC ligament tears and the coracoclavicular (CC) ligament sprains or tears slightly causing misalignment in the collarbone. In the most severe shoulder separation injury, both the AC and CC ligaments get torn and the AC joint moves completely out of its position. Symptoms: Symptoms of a separated shoulder may include shoulder pain, bruising, swelling and limited shoulder movement. Diagnosis: The diagnosis of shoulder separation is made through your medical history, a physical exam and an X-ray. Conservative treatment options: Conservative treatment options include rest, cold packs, medications and physical therapy. Surgery: Surgery may be an option if pain persists or if you have a severe separation. Anatomic reconstruction: Of late, research has been focused on improving surgical techniques used to reconstruct the severely separated AC joint. The novel reconstruction technique that has been designed to reconstruct the AC joint in an anatomic manner is known as anatomic reconstruction. Anatomic reconstruction of the AC joint ensures static and safe fixation and stable joint functions. Nevertheless, a functional reconstruction is attempted through reconstruction of the ligaments. This technique is done through an arthroscopically-assisted procedure. A small open incision will be made to place the graft. This surgery involves replacement of the torn CC ligaments by utilising allograft tissue. The graft tissue is placed at the precise location where the ligaments have torn and fixed using bio-compatible screws. The new ligaments gradually heal and help restore the normal anatomy of the shoulder. Postoperative rehabilitation includes the use of a shoulder sling for 6 weeks, followed by physical therapy exercises for 3 months. This helps restore movements and improve strength. You may return to sports only after 5-6 months of surgery.